The following is a suggestion for how you, too, can introduce ELLs to TV news in a fun and interactive way by creating and role-playing a newscast in the classroom. This interest-based, collaborative learning project is ideal for listening and speaking classes as well as integrated skills classes that meet two or three times a week. It works for larger classes as well as small ones. You should prepare at least three weeks ahead for your in-class newscast. Begin by asking students to create a network TV news-watching schedule for themselves for 1 week, during which they watch news in English at least three times for periods of at least 20 minutes. Ask them to record which broadcasts they watch and to capture what type of news they see. Draw their attention in advance to various types of news they are likely to hear: international, national, local, sports, health, consumer affairs, science and technology, human interest, entertainment, weather, and more. During this first week, discuss the advantages as well as the drawbacks of using closed captions to facilitate their understanding of the news. After week 1, talk about the experience of viewing TV news. In our classes, students said the news was difficult, but they agreed that by watching broadcasts several times a week, comprehension became a little easier. During the second week, ask students to switch to a schedule of non-network news (e.g., CNN, MSNBC, Fox, BBC America). Part of the challenge is for students to find these alternatives, as cable channels will vary depending on their location and broadcast delivery system. The goal is to provide students with news material that they can compare and contrast to the broadcasts they viewed in week 1. Lastly, ask students to decide which news segments interest them the most. At the end of week 2, ask your ELLs to choose a current news story of the type that really interests them. Ask them to listen to it and be ready to summarize it verbally (without reading from their notes) for the entire class. This gives students an opportunity to practice the kinds of summarizing skills they will need for the actual broadcast. Students enjoy listening to their classmates’ brief news summaries at the beginning of week 3. Present the newscast role-play assignment to your class. (See the student handouts, “Planning Your News Broadcast” (.docx) and “The TV News Show” (.docx). You’ll want to customize them for your own classrooms.) Explain that this is a collaborative group effort in which members of each news team not only prepare and deliver their individual news stories but also construct a cohesive newscast. Groups need to give themselves a name; create a tone for their newscast; decide on simple graphics (we were able to project graphics and employ short PowerPoints); and discuss dress, on-air demeanor, and props. Put students in groups of five or six, mixing the groups in terms of gender, native language, and level of class participation. All groups should be required to include international, national, and local news stories in their broadcast; beyond that, let groups choose which types of news to report on. First planning meeting: Students decide on who’s covering which current news story; who will anchor the news show; and what the lineup of news reporters will be. Second planning meeting: Groups fine-tune the lineup; write all the introductions and sign-offs for broadcast; iron out problems. Third planning meeting: Students rehearse and time their segments; consult instructor on any persistent pronunciation challenges. In advance of the news day, the class decides if it wants to have student volunteers record the newscasts “live” in the classroom using a smartphone, tablet, or video camera for a subsequent group critique. Each group presents its broadcast in a predetermined order and without interruption. Many of the news presentations turn out to be remarkably creative. Last semester, for instance, students role-played on-air interviews with Nobel Peace Prize nominee Malala Yousafzai, with a star of the Colombian soccer team, and with the father of a crime victim, complete with costumes and props. One student offered a lightning-fast “round-up” of five of the top news stories of the week, ranging from the U.S. government shutdown in October 2013 to the release of the iPhone 5. Another student—the “entertainment reporter” on her team—offered a quick overview of free events in New York City’s Central Park. As instructors, we each had a simple evaluation sheet (.docx) that we filled in during viewing and returned to each member of each group only after all groups had finished. You can also add a peer review component (.docx) that gives students a chance to provide anonymous written feedback to their classmates. If the students agree to having their newscasts video-recorded in class, you can view each broadcast the following week. We would advise inviting each student to reflect on his or her own preparation and delivery before opening up to a constructive critique from other members of the groups and the class at large. During the preparation stage, students were motivated to listen to a variety of news stories and formats and to compare and contrast them. Once in groups, students perceived they had a vital role to play, and the vast majority prepared thoroughly and rehearsed with enthusiasm. They used vocabulary relevant to TV broadcast, and coordinated their work during several planning sessions where listening and speaking were key. Lisa Hockstein has taught ESL for nearly 20 years at many schools of higher learning in New York City and Westchester County. 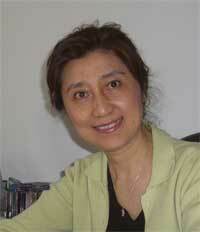 This career has brought her many wonderful experiences, including meeting people from scores of countries. Teaching has also made her a much better listener. Lisa is currently senior adjunct instructor at Westchester Community College (SUNY), and has a special interest in integrating literature and art into her classroom. Alexandra Dylan Lowe is an ESL instructor at SUNY Westchester Community College, where she has taught speaking and listening in the Intensive English Program, English for academic purposes, business English, accent on fluency, and a wide range of ESL levels. She writes a monthly blog for TESOL International, focusing on her primary interests in bringing authentic materials into the ESL classroom and on self-directed learning strategies that students can use outside of class to accelerate their learning. TESOL Community members are constantly connected, discussing topics of importance to you. MWIS: Source of Authentic Conversations? Have an idea for an online discussion? Please contact Craig Triplett, TESOL’s digital content manager. Discussions in the TESOL Community are open to all TESOL members, regardless of interest section. Nonmembers can participate in selected events with free registration. 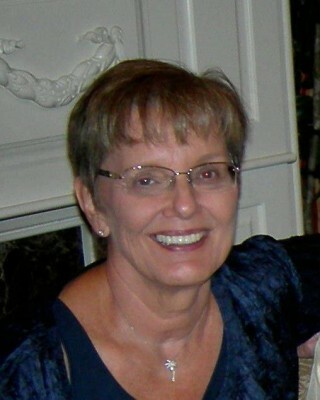 Congratulations to Carol Romett, of Fairfax, Virginia, for being the winner of the May 2014 TESOL Connections Monthly Giveaway. Carol has won a free TESOL gift membership to share with a friend or colleague. The TESOL New Ways Series provides practical activities for you to use in your classrooms. The books cover a range of topics, from assessment to reading, from business English to classroom games—and they cover a range of levels, from young children to adults. Use the activities in these books in your classroom today! 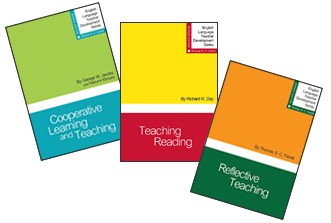 The winner can choose any three (3) New Ways books to add to his or her professional development library! Interested in writing a blog for TESOL? Contact Tomiko Breland with your idea or for submission details. Twelve years ago, I was interested in how collaborative teaching might work for our ESL program. I had read about ESL teachers who were “pushing into” the general education classroom to collaborate with classroom teachers and wanted to see for myself. After meeting with administrators and some classroom teachers, I had the advantage of being able to choose the teacher, the grade level, and the subject area for this experiment. I decided to push into Ms. Parson’s 3rd grade social studies class, where I had a group of intermediate English learners (ELs). Read More. At the NYS TESOL Applied Linguistics Conference at Columbia’s Teachers College earlier this year, much was made of Bloom’s Taxonomy and the importance of giving ESL students ample opportunities to practice “higher order thinking skills” (HOTS). This caused me to take a fresh look at my own lesson plans to make sure I was including activities that challenged my intermediate-level adult ELLs to sharpen their critical thinking skills. Assured by several presenters at the conference that “ranking” activities promote critical thinking, I took what otherwise might have been a pedestrian discussion topic focused on “What success means to you . . . ” and turned it into a lively HOTS activity. Here’s how... Read More. Let me share a personal story of how I got started. When I was a young graduate student at the Ontario Institute for Studies in Education (OISE)/University of Toronto in Canada about 29 years ago, my professors encouraged us to attend professional conferences. I remember my first: It was TESOL Ontario’s annual conference... Read More. As many of us know, music is a great tool for teaching English. It provides wonderful grammar exercises, opportunities for practicing listening skills, and topics for class discussions. Moreover, reflecting social values, ideologies, daily life, and human relationships, music provides an intercultural component to teaching the language. Music is also a source of authentic language use. Finally, it creates a more pleasant setting in classroom. Unfortunately, music is rarely used in writing classes. Yet, there are various ways how music can enrich a writing classroom and provide an excellent ground for practicing important writing skills. Read More. Chapters offer practical tips from language teachers with extensive experience in other fields. 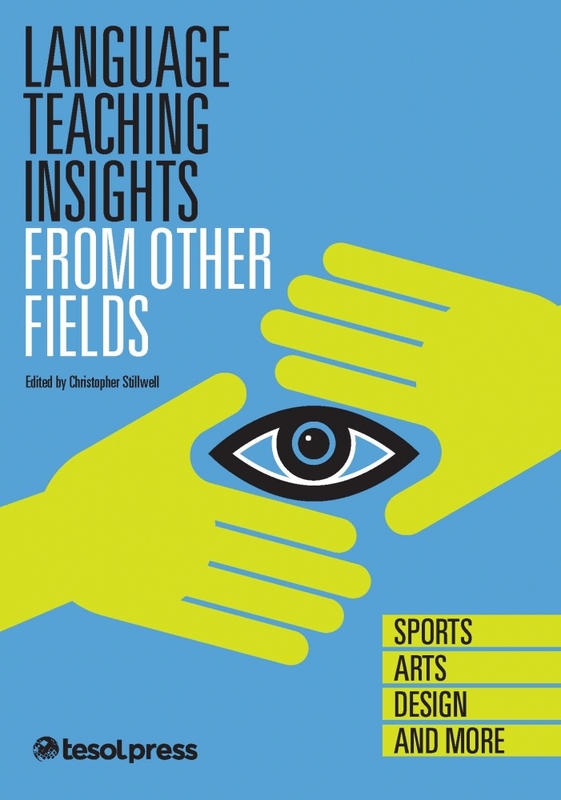 It is a book full of surprises that translate into new ways of thinking about teaching and the classroom. Find out how a restaurant reviewer would critique an essay, how a martial arts master would facilitate language practice, how a bartender would create a supportive environment for learning, and much more. Dr. Thomas S. C. Farrell, series editor, is renowned for his work around the world in reflective practice and language teacher education and development. His ELTD series presents a theory-to-practice approach written in a jargon-free and accessible manner for all teachers of English (native and nonnative speakers of English, experienced and novice teachers). Each topic offers practical methods and reflective breaks that allow teachers to interact with the materials. Want to post your open positions to Job Link? Click here. To browse all of TESOL's job postings, check out the TESOL Career Center. TESOL Teacher of the Year? Active TESOL members may read current and recent issues of TESOL Connections online at http://www.tesol.org/tc. Inclusion in TESOL Connections does not constitute an endorsement by TESOL.